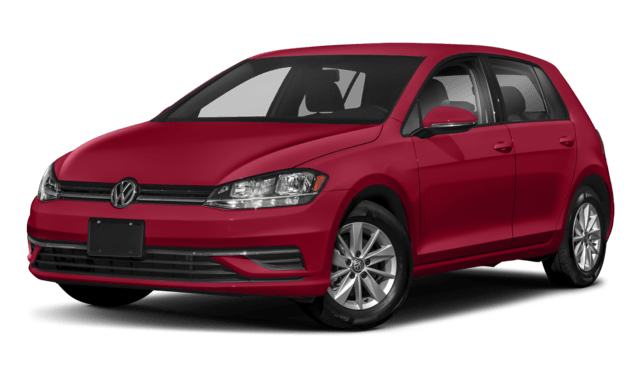 The 2018 VW Golf and the 2018 VW Golf GTI are both premium compact hatchbacks from the Golf model lineup. Both feature a high-quality cabin with a versatile cargo area and standard features like: VW Car-NetⓇ with Apple CarPlay™ and Android Auto™, BluetoothⓇ phone and audio connectivity, and more. 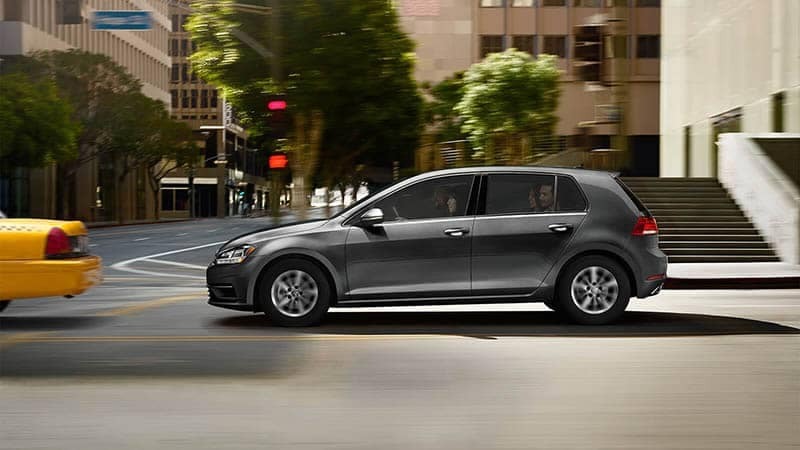 There are some important differences to take into consideration before you pick your next VW hatchback near Clearwater, though, and that’s why Reeves Volkswagen in Tampa has provided this comparison. VW Golf:The Golf comes standard with a turbocharged 1.8L engine that makes 170 hp and 184 lb-ft of torque while getting an EPA-Estimated 34 mpg highway and 25 mpg city. It’s also offered with a TiptronicⓇ with Sport mode feature that recalibrates the gears for a sportier response. 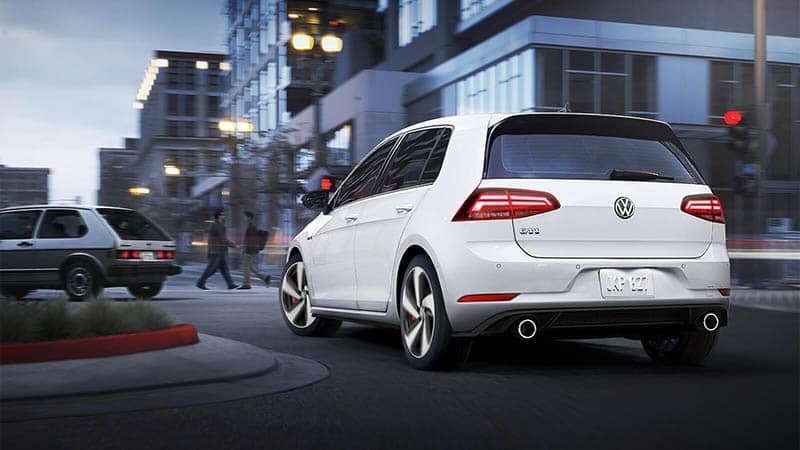 VW Golf GTI: The Golf GTI’s standard turbocharged 2.0L TSI® inline-four makes 210 hp and 258 lb-ft of torque, though there’s also a sport-tuned version that bumps output to 220 hp. You’ll also have access to a sport-tuned suspension and an optional DCC® adaptive chassis control feature with Normal, Sport, Comfort, and Individual drive modes. The 2018 VW Golf and VW Golf GTI both come with standard features like VW Car-Net® smartphone app integration, a leather-wrapped steering wheel, and SiriusXM® satellite radio. 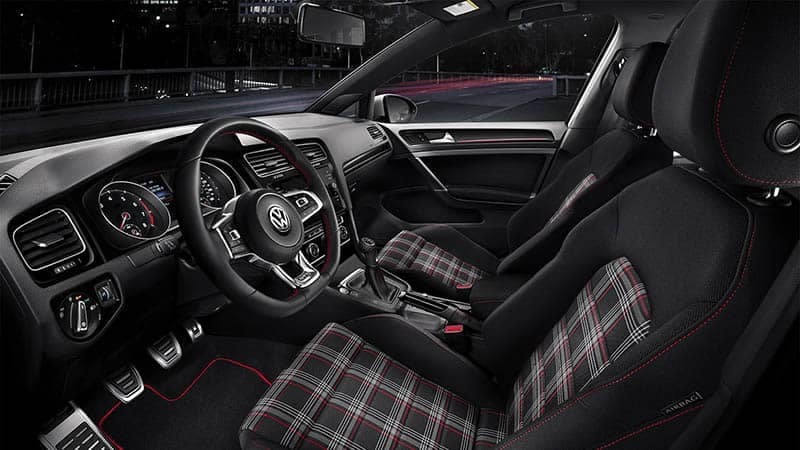 However, the Golf GTI takes it to a new level with iconic plaid cloth upholstery, heated front seats, and a cooled glove box. Interested in financing or leasing the new VW Golf or Golf GTI? Then come by Reeves Volkswagen today to take advantage of our great deals, including a number of current VW coupons. You can also see how the Golf GTI compares to the likes of the Subaru WRX STI. Our dealership is open Monday through Saturday at 11337 N. Florida Ae. in Tampa, FL, and you can reach us online or call us at (855) 486-7684. *Starting MSRP of $20,910 for a 2018 Volkswagen Golf S 1.8L TSIⓇ with 5-speed manual transmission. Prices exclude transportation, taxes, title, other options, and dealer charges. Dealer sets actual price. 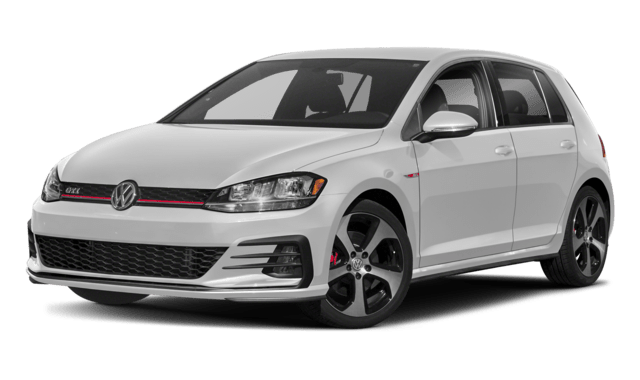 **Starting MSRP of $26,415 for a 2018 Volkswagen Golf GTI S 2.0L TSIⓇ with 6-speed manual transmission. Prices exclude transportation, taxes, title, other options, and dealer charges. Dealer sets actual price.